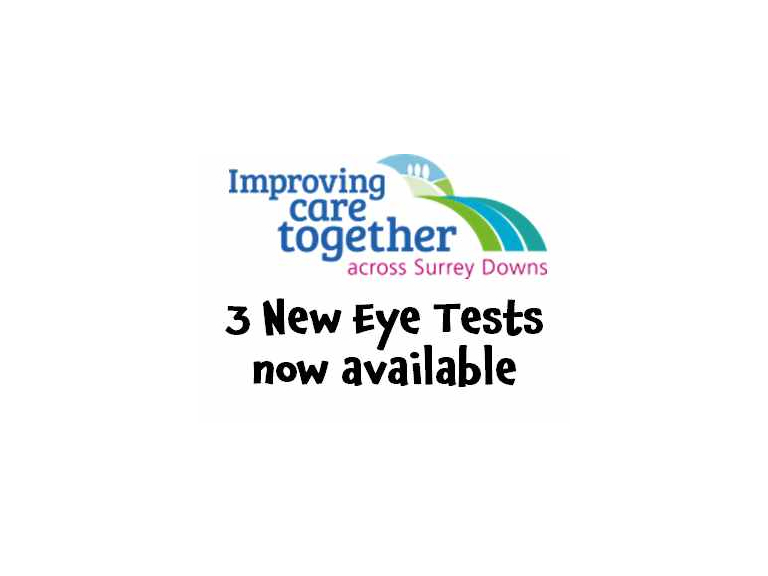 Surrey Downs Clinical Commissioning Group is now offering three new eye health examinations at a selection of high street opticians in the Surrey Downs area. Sight tests can help to detect early health conditions and these additional services will help to improve accessibility for patients. These supplementary ophthalmology services will allow participating high street opticians to identify and refer patients with suspected cataracts, Wet Age-Related Macular degeneration (AMD) and glaucoma on to specialist services for treatment. Direct cataract referral: Some high street opticians are now able to identify possible cataracts during routine eye tests and complete an extra assessment to determine if surgery is appropriate. The optician can explain the surgical procedure and the patient can choose where to have it carried out. Suspected Wet Age-related Macular Degeneration (AMD) referral: Wet AMD can also be identified during routine eye tests. The optician can urgently refer patients directly to a hospital or community clinic for further tests if required which allows treatment to be carried out within two weeks if necessary. Glaucoma service: Opticians are able to conduct repeat pressure readings for patients identified with high intraocular pressure or suspect visual fields during their routine eye test. If the pressure remains high at the second appointment, patients will be referred directly to a hospital or community eye clinic for further tests. Surrey Downs CCG recommends regular eye health checks, at least every two years, in order to maintain eye care and identify any health issues.